Scientists at Washington University School of Medicine in St. Louis say they have identified features of the influenza virus genome that affect how well the virus multiplies. The team believes its findings (“Nucleotide Resolution Mapping of Influenza A Virus Nucleoprotein–RNA Interactions Reveals RNA Features Required for Replication”), published in Nature Communications, could help improve surveillance to detect a potential pandemic. The features that were identified are similar, but not identical, across viral strains. 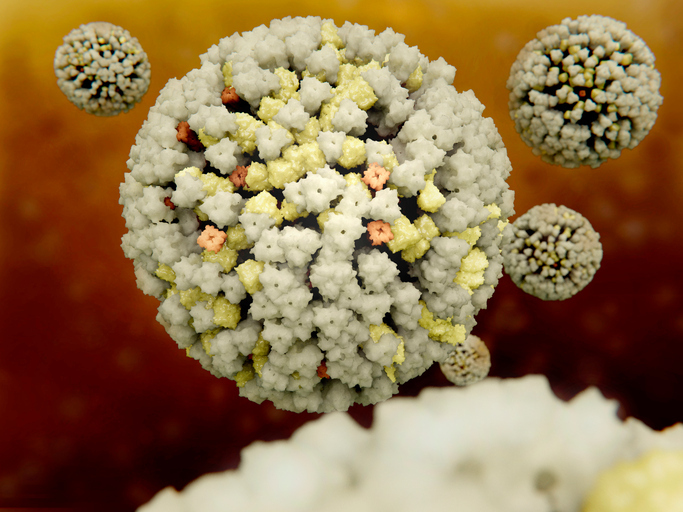 It's possible that the extent of similarity between strains influences whether two flu viruses can mix their genetic material to make a hybrid virus with the potential to explode into pandemic flu, according to the scientists. “Influenza A virus nucleoprotein (NP) association with viral RNA (vRNA) is essential for packaging, but the pattern of NP binding to vRNA is unclear. Here we applied photoactivatable ribonucleoside enhanced cross-linking and immunoprecipitation (PAR-CLIP) to assess the native-state of NP–vRNA interactions in infected human cells. NP binds short fragments of RNA (~12 nucleotides) non-uniformly and without apparent sequence specificity. Moreover, NP binding is reduced at specific locations within the viral genome, including regions previously identified as required for viral genome segment packaging,” write the investigators. Dr. Boon and first author Graham Williams, Ph.D., now a postdoctoral researcher at Duke University, with the help of Sebla Kutluay, Ph.D., an assistant professor of molecular microbiology, found that parts of the virus's RNA genome fold like origami into specific 3D shapes and that these shapes are necessary for the virus to multiply. When they mutated the genome to change the shapes, the viruses did not reproduce well. “Silent” mutations that left the shapes intact, on the other hand, did not affect multiplication. There are thousands of different flu viruses in the world, each differing slightly in their genetic sequence and, most likely, the shapes into which their RNA folds. Flu viruses whose genomes form very different 3D structures may not be able to recombine into a new strain.